Flywheel Energy Calculator are physic/math calculator to find Flywheel Energy Storage in rotating flywheel. There are many renewable energies such as harnessing solar, wind, hydro, and thermal energies. The only problem is there are no efficient methods of storage. To be able to convert and use renewable energy as electricity there needs to be a process for storing it. Flywheel energy storage systems use electric energy input which is stored in the form of kinetic energy. Kinetic energy can be described as "energy of motion" in this case the motion of a spinning mass, called a rotor. The rotor spins in a nearly friction-less enclosure. 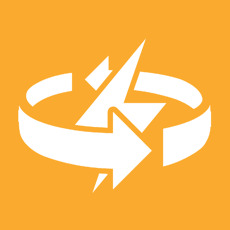 When short-term backup power is required because utility power fluctuates or is lost, the inertia allows the rotor to continue spinning and the resulting kinetic energy is converted to electricity. Flywheel energy storage (FES) works by accelerating a rotor (flywheel) to a very high speed and maintaining the energy in the system as rotational energy. When energy is extracted from the system, the flywheel's rotational speed is reduced as a consequence of the principle of conservation of energy, adding energy to the system correspondingly results in an increase in the speed of the flywheel. Compared with other ways to store electricity, FES systems have long lifetimes (lasting decades with little or no maintenance, full-cycle lifetimes quoted for flywheels range from in excess of 105, up to 107, cycles of use), high specific energy (100–130 W·h/kg, or 360–500 kJ/kg), and large maximum power output. The energy efficiency (ratio of energy out per energy in) of flywheels, also known as round-trip efficiency, can be as high as 90%.